Please enjoy reading what Small World Vacations happy guests have to say! Would you like to share your wonderful Small World Vacations' experience? Click here! I have worked with Deanna several times to plan a vacation to Wait Disney World. I would like to say that I have only good things to say about my experience with her. She is always prompt in replying to both emails and phone calls. Her knowledge of Walt Disney World is fantastic and I plan to use her whenever I am planning on visiting there. I have also recommended Small World Vacations to friends based on my dealings with Deanna. I wanted to let you know how amazing Lynne has been while booking. She’s gone above and beyond, even modified things for me while she was on vacation! I will highly recommend her to anyone I know! She’s made this a dream (after my own health issues). Brandi, your prompt help and your enthusiasm finally has me excited like I should be about this trip. Thanks Alice, for all you did to help make our vacation to Disney so magical! You helped educate us on many things about Disney and now, we feel much more knowledgeable for next time! Thank you for your patience and for answering all our questions. We were so appreciative of the free one year subscription to TouringPlans.com-the restaurant finder was amazing!!! Thank you again so much! We have been to Disney World 5 times in the last 16 years. I have ALWAYS booked the vacation, dining and other activities on my own. Wendy helped with everything and it didn’t cost us anything more…..actually she saved us money because she got us a discount that I might have missed if I was doing it on my own. I will DEFINITELY use her services again…..and recommend her to all my friends, Kudos to Wendy on a great trip planned for us. My husband and I just returned from a Disney trip. We had a wonderful time and a lot had to do with your representative, Beckie. She was a valuable source of information. She was always cheerful and prompt to return both my phone calls or emails. We have been to Disney before, but she gave us tips and insights that were great. If we were to plan another Disney trip (you never know), I would certainly contact Beckie, and I will highly recommend her to anyone planning a Disney trip. Thanks again. My name is Samantha and I have had the immense pleasure of working with Julia at Small World Vacations for my family and I’s upcoming Disney World trip. She has handled multiple room changes and groups with great care and kindness, and I genuinely think she has brought a positive influence into our vacation planning. She has been an asset to my family and I, and we are so happy to have had her help. This is a humble note of appreciation for the outstanding customer services provided by Disney Vacation Planner, Jenny. I commend the prompt service she provided. No matter how many times I change my itinerary, Jenny is willing to update my quotes quickly and courteously. Great customer service makes your customers feel that you care about developing a long-term relationship that mean more that just making a sale. Jenny has been a blessing! I’ve been working with Minnie on booking my 2019 cruise. She was SO efficient in email responses to my million requests! I’m excited to book and to cruise with Disney next year! Minnie made the process super easy and smooth! First time working with Small World! Fantastic agency, have used Small World Vacations 3 times a year every year since 2004. Our agent is Josephine and she is fabulous. It’s completely safe, they only take your payment details to pass on to WDW (or other hotels), who then process your payments. Your travel insurance will cover any other problems but in 30+ trips we’ve booked with Jo we haven’t had any other than outstanding service. We had a wonderful time at Disney World. The girls met lots of characters (PRINCESSES!). We enjoyed watching Aladdin outside at the Caribbean resort and spent a few afternoons in the pool as well. By the end of our vacation we were all exhausted and happy as could be. Thanks to Jeanne for helping us have an amazing family get away. Lisa is fantastic! She is professional, friendly, quick to respond and knowledgable. We had questions regarding which category of resort to go with (namely, what’s the real difference between value and moderate resort categories– pool and bed size). She sent us quotes for several resorts and included information about which ones are undergoing construction. When we chose our resort, the booking and deposit were seamless. She took care of everything and sent our confirmation. She was also very helpful in planning FastPass reservations. I hadn’t been to Disney in many years and wasn’t sure which rides generally have the longest wait times. She sent information for each park and we were very happy with our selections once we arrived at the parks. She followed up prior to our departure to ensure we had her phone number in case of issues (there were none) and once again when we were home. Disney is magical, but planning for it can be overwhelming and she removed so much of the stress. A true professional and we look forward to working with her again! Booked my family’s first Walt Disney World vacation with Small World Vacations. They were amazing and as a result, our vacation was amazing! Amanda was our agent and I wouldn’t trade her for the world!! She made everything so comprehensive and easy!! She was the best and answered literally all of my questions no matter how small or how big they were. I look forward to booking our next vacation with Amanda as our agent! This was our first experience with any kind of travel agent. Carrie has converted me! I used to be in charge of all travel arrangements and making grids of reservations, etc….it was wonderful to have that all arranged and Carrie did a great job of tracking additional discounts and upgrades. She was a wonderful resource for my newbie cruise questions with spot-on answers. We had a wonderful trip and look forward to working with Carrie (and Small World Vacations) in the future. I just wanted to give a few magical words regarding your agent, Jill Maguire, who was incredibly helpful with information regarding Disney World vacations. She even helped me while she was travelling herself. Jill’s commitment to guests and helping us make sense of all the confusing details of Disney World is next level! Thank you for your time and patience, Jill. We greatly appreciated your advice! You have been absolutely magical! Contact Small World Vacations’ agent, Jill Maguire at Jill@smallworldvacations.com. She is happy to help you! I found Small World Vacations through Mousesavers and emailed to get a quote. I was blessed to have Jill Maguire respond to me and provide me all of the details I needed and kindly offered to help with anything additional. Since then my family and extended family have booked a Disney Cruise through Jill and even upgraded our rooms! I could NOT BE MORE PLEASED with Jill assisting us!! She talked with us all on speaker phone at length to make all arrangements. She is so personable, polite and a WEALTH of knowledge. She really took a great interest in making sure we got a package that would fit our individual needs! She followed up via email and has everything in motion for us. I really wanted to reach out and let a supervisor know how very wonderful she is at her job and again, we are just thrilled to have her!! We will be using her in the future!!! Renee has been helping me plan a special vacation for my family by helping me figure out what I wanted to do. She is knowledgeable about everything that I ask. Also, I have had to make several changes along the way. I always feel so bad when I need to make a change, but Renee is always so helpful and nice about it and quickly provides me with information. I always hear from her within 24 hours…usually less. I am already thinking about my next vacation and would want no one other than Renee to help me. She’s great! 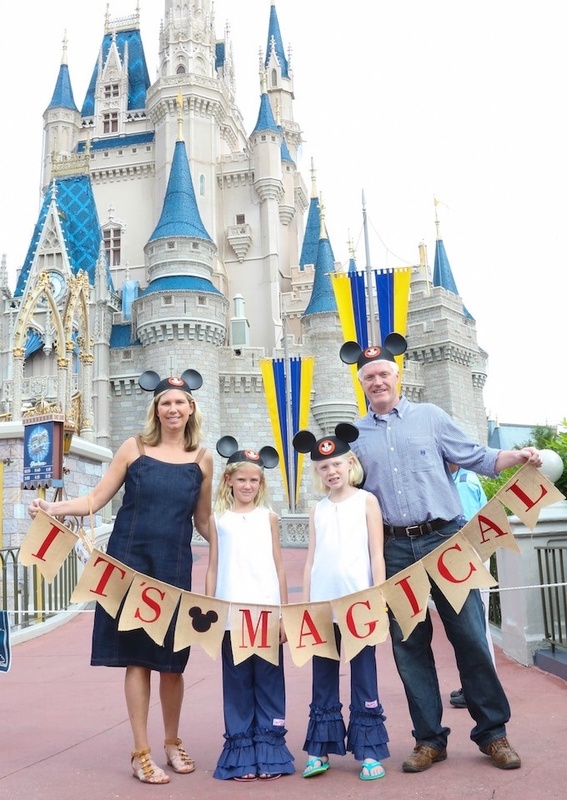 I was overwhelmed.. Our Small World Vacations’ agent, Amber, did an absolutely WONDERFUL job in pointing out options to make our trip magical, especially for our five grandchildren – ages 4-9. It was a perfect trip, in great part because our agent helped us maximize our time at each of the Disney parks. We just got back home from our 1st Disney Family Vacation! If it wasn’t for our Small World Vacations agent, Julia, our trip wouldn’t have been a success. Our agent patiently made our changes for three families go smoothly and stress-free. Thank you for making our Disney Family Vacation MAGICAL! Your customer service was on point, reliable, and just perfect! The thought of planning a Disney World vacation was overwhelming. From the start, Steph made us feel at ease and provided everything we needed. She answered all our questions in a prompt and timely manner. I don’t think we could have done this without her help. I wanted to let you know what an amazing, intelligent and knowledgeable agent she is. My wife and I are thankful that we had the opportunity to interact with such a fun but business-like woman. What a wonderful person she is! I have had the pleasure of working with agent Sandy for many years now. She has helped me plan several Walt Disney World trips and multiple Disney cruises. Sandy has always gone above and beyond what is expected. She is very efficient in her responses to questions and requests for quotes, and is always quick to offer tips, recommendations and much appreciated advice. Working with her makes my trip planning stress free and enjoyable! I’m so fortunate and glad she is helping me plan my latest cruise vacation. Thank you to Sandy and Small World Vacations for exceeding my vacation planning expectations! I can’t say enough good things about Small World Vacations, but mostly about your agent, Lori ! It is difficult in this world to find quality customer service, but with Lori I get worlds beyond “quality” even beyond Exceptional! THANK YOU! From 2012 until now, Jodie has taken care of all my Disney cruise and land bookings. I considered myself a Disney expert but found Jodie is more knowledgeable about all things Disney. She will inform me as soon as she learns of something that might affect my Disney reservation. She is also patient and quick to respond with changes that I request such as changing a stateroom or a date on a cruise. As a result of her good service I refer her to friends because I know she will take care of them. Once again, Tanya has provided superior customer service. Not only is her disposition always cheerful and helpful, but she is amazingly flexible and efficient. She was able to help us assess multiple scenarios for our trip (we were traveling with relatives) and identify what would allow us to get our ideal Disney vacation while optimizing our budget. No matter how many times I contacted her with questions, she remained timely and helpful in response. She never appears frustrated and always makes me feel like a priority. This is our third time using Small World Vacations and we remain pleased with Tanya’s exceptional service. Me and my mom have recently booked our first Disney Cruise. Marion has been wonderful to work with! She is very knowledgeable and quickly to answer any questions for we have. Thank you for making this experience smooth and very enjoyable. My family and I have used Shannon from Small World Vacations multiple times. I just wanted to share how helpful and amazing she is! We’ve had 4 incredible trips with her and she always goes above and beyond to make it so. We could not have asked for a more magical experience!! I would heartily recommend our agent, Tracy, for our upcoming family trip to Disney World. This is the first time we’ve ever used a travel agent. The experience has been amazing. Not only the service she provides and the instant updates about special offers, discounts, etc. but the kind and professional spirit in which she works. She is prompt in returning emails and always so very helpful. We’re not “Disney experts” by any means so I’ve sent her several emails with pesky questions, asking her opinion about things, etc. In each response, I feel she went over and above to give me detailed and thoughtful answers and touring tips. Our Agent Tanya, from Colorado visited New York City with her family. 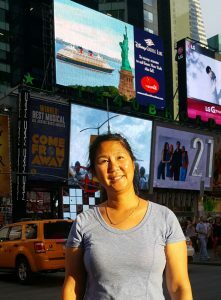 She stopped by Times Square to take a pic with the Small World Vacations’ Billboard. Good morning Riley! Sorry I’m just getting back to you, hectic first week back 😊 Thank you so much for everything you did. Scheduling the meals, explaining how to make our fast passes, we had the most amazing time ever! It was phenomenal! I just can’t express enough how thankful I am that you were able to take the most stressful planning vacation and make it the easiest thing I’ve ever done. You are amazing! Thank you again !! Leigh from Small World Vacations has been SO fantastic with helping plan our vacation. Not only is she incredibly professional and organized but has given us amazing recommendations. She has always been on top of things for us and follows up, typically within 24 hours. She made me feel like I was her only client and that every detail was perfect. I cannot stress enough how wonderful it has been to work with her and will continue to recommend her to my circle of family and friends. I just wanted to share some thoughts I shared with your super agent, Lynne. She represents your company in the best way possible. I am very grateful for her “take ownership” type of service, her easy expertise and most of all her warm and friendly manner. I’d say Lynne is a “keeper” 5 out of 5 Stars rating. Lynne and all of you at Small World Vacations deserve acknowledgement of your good work and the wonderful way in which you do it. You guys really do touch people’s lives. To me, it’s like when Tinker Bell sprinkles her pixie dust on someone and then they can fly. Your great work, planning what has become an extraordinarily complex and daunting vacation, enables us, your clients, to fly too. We fly around WDW, due in large measure, to the arrangements that you’ve made and the wise, personalized advice hat you have given us. Our vacation experience is profoundly enhanced beyond my inadequate ability to express it. I can only say, thanks to all of you for all that you do. I know that all of you will keep doing your wonderful work the way that you do it now, because you don’t know any other way to go about it. Thanks for the magical memories. Sherri was efficient, prompt and pleasant in all of her interactions which made me feel like I was her one and only focus. Sherri made my busy life easier, as I know that sending one email to her and she gets everything done by magic. Thank you to Sherri and Small World Vacations for taking care of me and my family! We have used one of your agents, Karen Nunn, for many years. I don’t know how many vacations she has booked for me, my son, his in-laws, and friends. I have no problem recommending her. She is the best! Karen Nunn represents Small World Vacations very very well! I cannot imagine planning a WDW trip or a Disney Cruise without her. She takes all the hassle out of planning. She answers all my multiple questions quickly and always does it in a professional, thoroughly Disney way. She is a precious jewel. Hi, I just wanted to pass on how great our Florida trip was. Our travel agent was Amber Vaughan. You are very lucky to have her. Our trip went off without a hitch. I met a lot of people along the way who weren’t as fortunate. Amber arranged everything for us perfectly. I am a very nervous traveller but Amber had everything lined up for us which made a huge difference. Amber was always quick to respond and so helpful. I would have no problem at all recommending her and I definitely will to anyone who plans to visit Florida. ❤️ Alison from Nova Scotia. After 10 years Small World Vacations’ agent, Karen,has been the most amazing Travel Agent we could ever ask for. She’s helped us with everything from our 1st Disney Cruise (which was our honeymoon) till now this year, going on our 10 year wedding anniversary. It is our 6th cruise being booked by Karen. She has helped us with booking, making payments, and answering our questions (dumb or not). Even when she is on vacation she answers our questions. I realize that is her job, but Karen makes us feel like she is our best friends helping us book our vacation. I have always been pleased with the service I receive from her. Her professionalism and enthusiasm exceeded our expectations. We love Karen and are excited for the next 10 years. Cheryl is an absolute DREAM to work with. She handles everything and answers any question you may have. She even stayed in contact while she was on her own vacation. GREAT job Small World! We will be using you again in the future. Good morning! I was able to lock in every single FastPass we were hoping for. Thanks for letting me know ahead of time , because Disney didn’t sent me an email until noon on my Fastpass booking day. Had I waited for Disney, I may not have had any luck. Big thanks to Jo from Small World Vacations. Jill was very helpful in planning our daughter’s first trip to Disney to celebrate her birthday. She gave us many suggestions to our vacation outstanding. I really appreciate the time and efforts she went through to make our vacation exactly what we wished for. Thank you for our magical vacation! Anne from Small World Vacations has been one of the most helpful, courteous and hardworking travel agents I have ever worked with! I have emailed her numerous times with questions and her vast knowledge has not only impressed me EVERY time but her understanding of the teeny nuances of planning have been amazing. She has gone above and beyond to make sure that our family has the most magical Disney vacation we could imagine and for that I can never thank her enough!!! Our family trip meant so much and I appreciate all that Heather did for us. It was a wonderful vacation, and you made the experience possible by adjusting our reservation every time a new discount was available. It was the last vacation I ever took with my mother. She had a great time, and she spoke about it often. Thank you for helping make those memories possible. I am getting married soon, to the man who was just my boyfriend during that trip. I would love it if you could help me plan our honeymoon. This is the first time I have used an agent for a cruise and, in fact, the first time I have used any personal travel provider assistance for many years. As an executive in IT who travels regularly and is in a customer centric business, I am very aware of the service levels required to ensure customer satisfaction. I wanted to let the Small World Vacations’ team know that Minnie is a true asset to your business. Please tell your manager that I remembered you from over ten years ago the last time we did this! 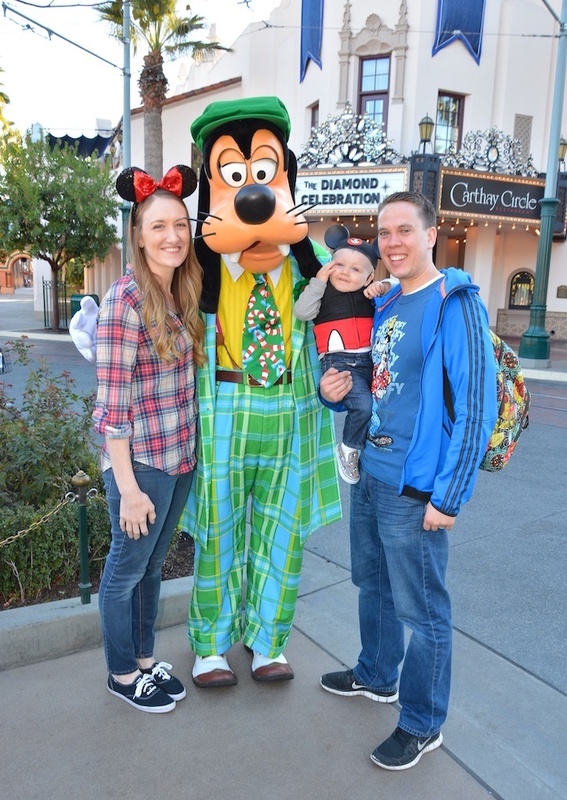 Our family returned from a Christmas vacation at the Art of Animation and I wanted to take the time to let you know that Riley (riley@smallworldvacations.com) was essential in making our Disney trip a success. Without her help in planning ahead for all the details like fast passes and dining reservations we would not have enjoyed ourselves going at such a busy time of year. From the start, Riley was always quick to respond to my questions and all her suggestions were very helpful. We traveled from California to Orlando and this was something we had to save and plan for and I am happy it was worth making this happen for our kids. It was full of memories and I also loved how memory maker captured some of them! I would happily recommend Small World Vacations based on her support in making it a dream trip come true! Thanks to Angela for all the legwork she did for us. Overall, our trip was wonderful! The little ones had a lot to do and we stayed busy the entire time. Angela’s food suggestions were great. I really appreciate everything she did to make our vacation as smooth as possible. I couldn’t have done it without her! We just returned from a cruise that started off disastrous. About 15 minutes from port we discovered that we left our passports at home! We were in a panic! My first instinct was to give our Small World Vacations’ agent, Andrea, a call and I’m so glad that I did. Her voice was so comforting and I knew that she would spring into action. Her clear thinking and swift action was a lifesaver. After we hung up I called my neighbor who accessed our home and made digital copies of our Birth Certificates. After that was sorted out we received a phone call from DCL. The call came just as we were pulling up to the port. The DCL rep called us because Andrea was wise to give them my cell phone number so we could connect. The DCL rep put us at ease and instructed us on what to do next. It all came to fruition when we were cleared at the DCL counter and checked in. We collectively breathed a sign of relief! None of this would have been possible, and the ship would have left without us, if it weren’t for Andrea. She put the wheels in motion and I can’t imagine what would have happened without her direction. If anyone were to ever ask us if a SWV travel agent was worth it, I would exclaim “YES”! She is our angel and we will forever be grateful! To us, she is a Vacation Goddess! Marion was a big help in helping me to plan our vacation back in 2013. When 4/2018 rolled around, our family was once again ready to conquer the world (Disney, that is). I sent Marion an email and she got right to work for me. I love her humor, her ability to give a straight answer on the serious questions and most of all her experience. Even when I think I know the answer to something, she was great to bounce ideas off for me to create a one of a kind Disney vacation. Marion is my first contact when I even think of going to Disney. A Disney vacation is getting more and more complicated every time we go. Marion giving me insight before the trip based on her experience. She is truly a treasure! Contact Marion@smallworldvacations.com for assistance with your Disney Vacation or Disney Cruise. Hi Kelly… We just got back from our Disney world trip and wanted to thank you for everything you did to make it magical. It truly was one of the best, most efficient and fun trips I have ever been on. The magic bands were absolutely flawless for us and we loved every minute of our trip. Thank you thank you thank you!!!. We continue to give your name out to everyone who asks about our trip. You’re the best. 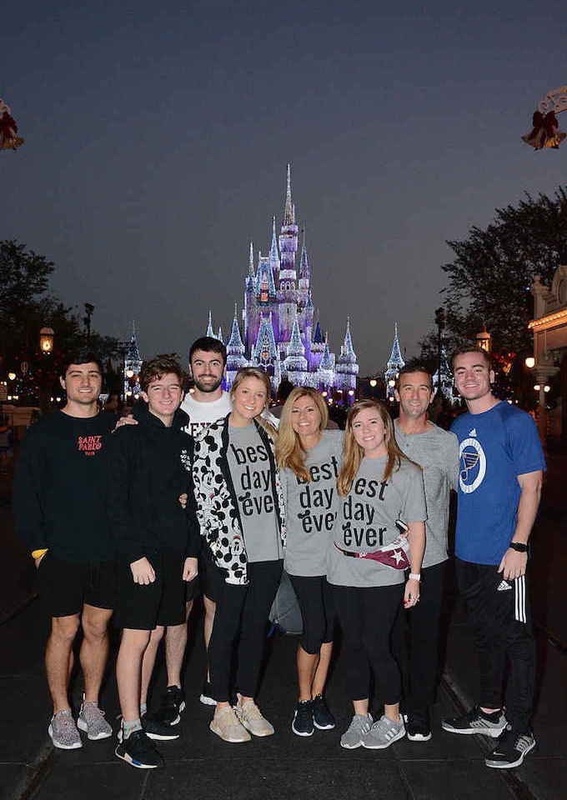 An excerpt from Amanda’s Blog – Rogue Wave Designs – In finding our Disney deal, I ended up working with Melanie, a travel agent from Small World Vacations. She was very knowledgeable and helpful in knowing which resorts were under construction and how that might impact our stay. When my husband heard I worked with a travel agent, he wanted to know how much that cost, legit question. The answer is nothing. There was no charge in using her services. The perk of having her to help is her knowledge base when making the reservation but also the time that passed between booking and traveling. I made our reservations in May for a trip in September. During that time, Melanie arranged for our Magical Express bus shuttle from the airport to resort, I received helpful emails such as a Timeline Planning Guide, MagicBand information and reminders when I could start making reservations. Contact Small World Vacations’ agent, Melanie@smallworldvacations.com for assistance with your Disney Vacation or Cruise. Thanks to Lucy our family’s first trip to Disney was incredible! She gave us tons of excellent guidance on everything from the best way to manage our Fast Passes, to how and get the most out of our Dining Plan. Rides, character meetups, reservations, food …because of Lucy’s insight there wasn’t a single thing that we wanted to do that we weren’t able to do! Thank you so much Lucy! Just got back and everything went perfectly. Big thanks to Lynne for not just booking the trip, but for taking endless calls and emails and explaining everything to me. Highly recommend Lynne & Small World Vacations. Thanks for your speedy response! We would like you to go ahead and book our Disney World vacation for us. All the information in your email was wonderful. It’s everything we need. The most important information was making sure that we had connecting rooms and I saw that you had confirmed this with Disney! I have booked several Disney vacations with Leslie at Small World. She has so much knowledge of where to stay, eat and full of fun and different things to do each time we visit. She is also diligent about monitoring discounts that become available and has saved us money after booking on more than one occasion. I don’t want to plan a Disney vacation without her. We have been using Cissy at Small World Vacations since 2006 for our Disney World and Disney Cruise vacations. She is the best! Cissy takes the time to answer every possible question and provide us with quick responses. Her insight and experience are so helpful when making decisions. I know that she can and will handle any problem that may arise, taking away any worries of our vacation planning. We have recommended Cissy to half of Cleveland! She is amazing! Thank you for the wonderful job and looking forward to planning our next Disney vacation! Melanie has been absolutely phenomenal since day one of planning our long awaited Disney vacation! She is available when you need her, responds promptly to calls and emails and has made everything so easy for a first timer like myself. I would highly recommend her to anyone looking to plan a Disney vacation!! I wanted to give a big “Disney Kudos” to Caylie in working so well with our family to make our Disney vacation stress free. She helped me to the right choice when it came to our dining plan. Caylie was very professional and very easy to work with. We were well prepared for our magical trip because of her guidance and experience. THANK YOU SO MUCH to Karen for everything you did in helping us plan our wonderful and magical vacation. You definitely FAR EXCEEDED my expectations. I greatly appreciate your promptness in responding to my phone calls and emails. I am also grateful for your suggestions in dining and itinerary options. 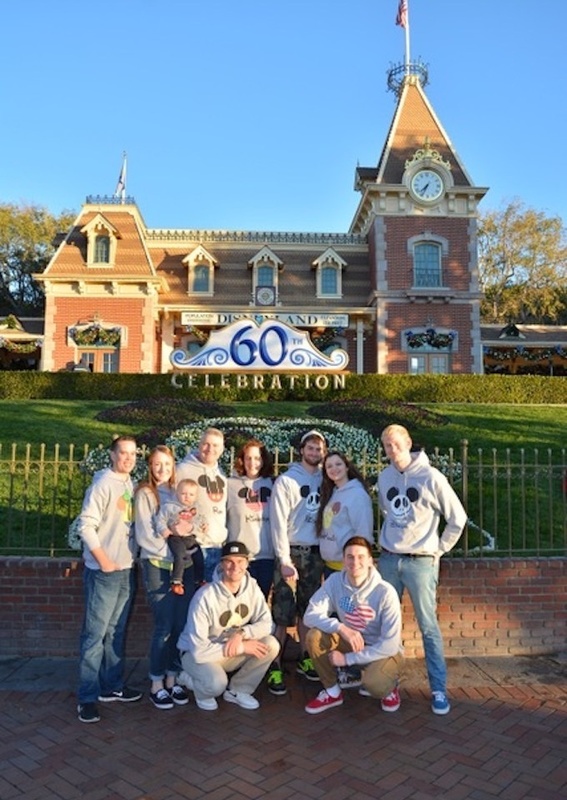 Planning a Disney trip can be extremely overwhelming and your expertise and willingness to help made it so easy. We definitely plan on going back and you can count on getting a call from me for help in planning another trip. Minnie is truly an amazing agent. This is the second time I have worked with her for our Disney World Vacation. I know that I am demanding and her patience with me is incredible. She is always happy to make any adjustments. I truly appreciate all she has done and I know that I can count on her right through to the end of our vacation. Small World Vacations is my first choice and that is because of agents like Minnie. Chris has been extremely helpful, answering my emails promptly and at all hours of the day. She went out of her way to assist me to make this the easiest vacation planning I’ve ever done. I was very nervous but with her help with my dining reservations, this was a breeze. She made this a fun experience from beginning to end. Small World Vacations’ Agent Alissa in Port Canaveral before her sailing on the Disney Dream. See our billboard in the background? Contact Alissa@smallworldvacations.com for assistance with your Disney Vacation. I have never had such great customer service than I had with Kristina. We booked our Disney vacation with her and I had a lot of questions and emailed her several times and she was quick to respond. And, not only did she provide me with the answer, she gave me additional information with links to help explain her answer. My whole experience with her and Small World Vacations was wonderful. When we go back, I will book with her again. Hello! I just wanted to share how amazing and helpful Jenny has been. We decided in late June to book a Disney Cruise sailing in September for our family of 5. I couldn’t find any availability online and when I called Disney directly, they confirmed there were no rooms that could accommodate our size family. Thankfully, I still reached out to Jenny because she suggested connecting rooms and quickly reserved them for us. We would not have been able to go if it weren’t for Jenny because I didn’t know about connecting rooms and no one at Disney suggested it. Since then, she had been so helpful and responsive in booking reservations and excursions and linking our meals and activities with friends on the ship. I can’t say enough good things and will definitely be recommending Jenny to all my friends! We recently sailed on our first Disney Cruise along with another family and it was the best vacation ever! We used Lulu to plan and it was absolutely painless. She booked our rooms together and linked meals and activities for the kids. We had such a great time, we booked another cruise and will most definitely use Lulu. She was wonderful! We took our 4 princesses to Walt Disney World despite some unexpected setbacks that almost canceled our trip. We have Dawn to thank for that because she went above and beyond for us. Our family is extremely grateful to her for going the extra mile to help us share wonderful memories with our daughters. Thank you! 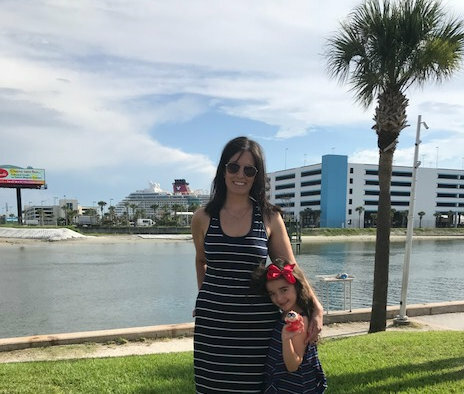 We wanted to write to you to tell you how much we appreciate the great job that Heather Garrett has done for us in booking multiple Disney World and Disney Cruise trips. We’ve been using Heather since 2014 or 2015. She’s always been on point in getting the reservations we asked for, and has always been very responsive to any questions that we send. She’s a tremendous asset to your company. Her knowledge, attentiveness, and overall attitude are fantastic. We love dealing with her, and will continue to use her as our travel agent for Disney vacations. Contact Heather@smallworldvacations.com for assistance with your Disney Vacation. My family and I just wanted to drop a note to let you know how satisfied we are with the exemplary service provided to us by Karen Nunn who has been helping us plan a trip to Disney for my family this summer. This is our 4th time using Karen at Small World Vacations and as usual, she has provided us with excellent service. She has been extremely timely and helpful in responding to my many inquiries and has also monitored my existing reservations and advised me of additional savings after my reservations were made. I have recommended her services to all of my friends and family who mention they are thinking of a Disney vacation and just wanted you to be aware of the positive experience she ensures each time we plan a trip to Disney. On behalf of my family, we want to express our appreciation to Karen for a job well done! I just have to tell you what a gem you have in Stephanie. She has been helping me book my family of ten on a Disney Fantasy cruise for 2020. I must admit that I’ve made a few changes…I asked for and then reversed my decision on travel insurance – I asked for a March sailing and then, after everything was set up, changed my mind to a January sailing. Throughout all of that, Stephanie has been cheerful, professional, quick to respond, and always helpful. In these times, when customer service is so crucial to a company’s success yet so lacking in most instances, it is a pleasure to find someone like Steph. If you would like to work with Stephanie to plan to your Disney Vacation, contact her at Steph@smallworldvacations.com She will be happy to help you. Lisa’s services were wonderful and I am so glad I was referred to her. She made this trip so much easier to prepare for. I would have been completely overwhelmed by everything, and Lisa made it very manageable. I would gladly refer her services to anyone who is taking a trip to Disney in a heartbeat. We don’t have a new trip planned, as we need to recover from this one. It was definitely exhausting lol When we are ready to go again, she will most definitely be hearing from me. Thank you again to Lisa for all her help!!! We had a WONDERFUL time on the Southern Caribbean Disney cruise. Best one yet! On the last night of our sailing, we were talking to a couple we met on the ship about this cruise and how long we had been planning it. They commented about how they had booked with Small World Vacations’ and agent Karen got them the FL deal and changed their booking once or twice for them. Turns out, we used Karen as our travel agent too! It’s crazy that two of her families met each other on the ship. They spoke very highly of her and said how they had recommended Karen to many of their friends. We felt very lucky that we contacted Small World Vacations and were partnered with Karen last year! Thank you so much for all your help with this. I am so so so excited! You have made the whole arranging of this so easy compared to what I would have dealt with doing it on my own, and I wanted you to know that I am greatly appreciative of everything you’ve done, holding my virtual hand every step of the way! As I’ve told my friends, this will be my “test cruise,” having never been on any boats other than ferries. If it all works out, I will probably use cruises to visit other places I’ve never been. #1 on that list would be an Alaska cruise. If/when I decide to do that, I’ll definitely be in touch to get your help with the arrangements again! In an era when most people don’t think about using travel agents, I am so glad you are out there and were able to help arrange this trip, which I am so looking forward to! We had a wonderful vacation. Thanks to Deanna for all her help and suggestions with planning. The looks on my kid’s faces and the excitement were unforgettable. Everything was great…. The weather, The Art of Animation was incredible and mostly the memories that my family shared will be with us forever!!!! I would like to brag on my Small World Vacations’ travel agent and the exceptional job she has done! Annette has gone above and beyond to assist me with the planning, reservation and payments for my Disney Cruise. She was very patience and answered all the questions I had! Mary from Small World Vacations has been helping my sister and I plan a trip to Disney World. I just want to let you know that “SHE ROCKS”!!!!!! Mary has been wonderful in helping to plan this trip!!!!!!!!!!!!!!!! Caylie McCann is wonderful. My family booked a vacation using your company and Caylie was our vacation planner. She made every step of the process so easy. She was very quick to respond to my emails and even had to deal with all of my annoying questions. Planning a Disney vacation can be a very daunting task. With Caylie’s help she made it stress free. I was able to relax knowing that she was on top of everything. Our party included a toddler and she helped us deal with getting her a stroller and making sure our room had bed rails for her. Caylie’s patience, knowledge and professionalism is why my next Disney vacation I will contact Small World Vacations and back to Caylie. I’ve spoken highly of her to a few friends looking to book Disney Vacation and I’m sure when the time comes they will use Caylie and Small World Vacations to book their trip. I agree that Small World Vacations may use any photographs I submit in this form with or without the names of all people in the picture for any lawful purpose, including for example such purposes as publicity, illustration, advertising, and Web content. I agree to the terms and conditions on behalf of all those individuals appearing in the photo I submit to Small World Vacations, Inc including minors under the age of 18. I hereby grant the Small World Vacations, Inc permission to use my likeness and those people appearing with me in a submitted photograph, video, or other digital media (“photo”) in any and all of its publications, including web-based publications, without payment or other consideration. I understand and agree that photos will not be returned. And by submitting my photo in this form, it does not guarantee that Small World Vacations, Inc will publish it in any media or website. I hereby irrevocably authorize the Small World Vacations, Inc to edit, alter, copy, exhibit, publish, or distribute these photos for any lawful purpose. In addition, I waive any right to inspect or approve the finished product wherein my likeness and those people with me in the photograph appears. Additionally, I waive any right to royalties or other compensation arising or related to the use of the photo. I hereby hold harmless, release, and forever discharge the Small World Vacations, Inc from all claims, demands, and causes of action which I, my heirs, representatives, executors, administrators, or any other persons acting on my behalf or on behalf of my estate have or may have by reason of this authorization. I HAVE READ AND UNDERSTAND THE ABOVE PHOTO RELEASE. I AGREE TO THE TERMS OF THIS PHOTO RELEASE ON BEHALF OF THE PEOPLE APPEARING IN THE PHOTOGRAPH I HAVE SUBMITTED. I AFFIRM THAT I AM AT LEAST 18 YEARS OF AGE, OR, IF I AM UNDER 18 YEARS OF AGE, I HAVE OBTAINED THE REQUIRED CONSENT OF MY PARENTS/GUARDIANS AS EVIDENCED BY THEIR SIGNATURES BELOW.